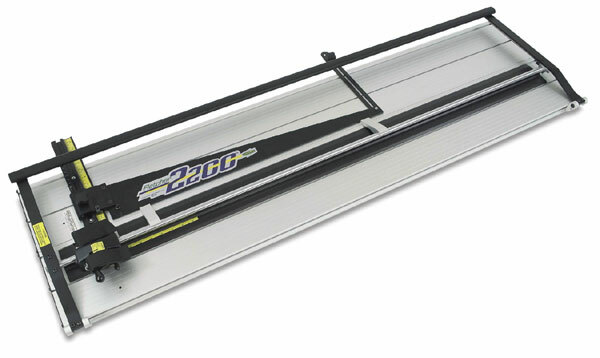 When precision and accuracy are important, this is the mat cutter you need for sizing cuts, bevel cuts, and V-grooves. The Fletcher 2200 features a unique pin locator that makes setting precise, accurate borders easier than ever with faster repeat cutting. The 8" wide border slices through foamboard up to ½" thick. Measuring Stops — Eliminate the time-consuming technique of drawing lines on the back of the mat. Measuring stops control overcuts and undercuts, and lessen the time required to cut multiple mats with the same dimensions. Sold separately. Clamp Lifters — Mounted on the underside of a hinge bracket with the spring-loaded roller resting on the base. This allows both hands to be free to position the slip sheet and mat. Slight downward pressure lowers the mat clamp. Set of 2. Sold separately. Replacement Blades — For MatMate systems 32, 40, and 101. Replacement blades are .015" thick.